Deciding to buy shoes for the baby, you need to know the size of his feet. But it is not always possible to take the child with you to the store to try on, and online purchases are becoming more popular. So how do you know size of the feet of the child and not to make a mistake when buying such important things like shoes. and so on every 5 millimeters plus one size. Usually for babies from 6-9 months it will be in time 17 size, from 9-12 fit – 18-19 size, 12 - 18 months – 20-21 size. The system sizes is only suitable for footwear Russian manufacturers. On the European system of sizes the result (in centimeters) multiplied by 1,5. So the length of foot 17 cm fits 17 x 1.5=25.5 in size. To pick baby shoes, not only the foot length but also on width, take a sheet of white paper and a bright pencil. Put the child on the paper and gently trace around his foot, a pencil, it is desirable to keep strictly vertically otherwise the data may not be correct. Arriving at the store, take insole, the model you like, and attach a piece of paper, where it circled the foot of the child. Keep in mind that if the insole of the Shoe one sizeand your pattern, shoes baby will be very close, so better take a size bigger. If your toddler is restless and you can't measure his leg, fit the other way. Take a clean sheet, slide under the ruler a straight line and ask the child to stand up for her. Quickly make notes of the heel and thumb and then measure with a ruler the distance and view the table sizes. Almost all people left and right foot are different, ie one can be a bit larger than the other. Therefore, to measure both feetand size to pick up on that more. Measurements of the foot holds better in the evening. This is because during the day the leg is trampled on, it rushes the blood, and it becomes a little bit more than, say, in the morning. When you select a sizeand pay attention to what socks the child will wear shoes. If it's winter socks will probably be quite thick, so the measurements of the length of the foot is best done in socks. To pick out comfortable shoes, enough to do a few fittings in the store. However, sometimes you have to do the purchase according to preliminary standards, for example, when ordering goods through the Internet or in the orthopedic salon. In this case, you must specify the size of the Shoe. According to the accepted standards, it will depend on the length of the foot (insoles) and its width (fullness). - table of Shoe sizes. Taken for calculations of the sizeand the Shoe is recommended in the evening as by this time one day tired legs can take a bit longer, even pripuhnut. Be sure to wear socks the same thickness that you plan to choose new shoes or boots. During measurement , the stop can be glued a large paper or cardboard sheets to the floor with tape. So they won't crawl, and you would prefer to act. Swipe in the center of the sheet smooth vertical line centimeter ruler. At the bottom of the straight draw a perpendicular. The intersection of two lines indicate, for example, point A. Put your right foot next template so that the vertical line ran through the middle of the foot. Point a is the most convex part of your heel. Stand upright on both feet went the same load. Press your thumb to the floor – so you can find out the maximum length of the foot. Find the place on the foot that will be the most removed from the point A is a point In, located on top of the longest finger. It can be large (the so-called "Egyptian" or "Roman" types, stop), or second (in the "Greek" foot). Insert the upper perpendicular line. The distance between points A and b is the length of the right foot. According to this pattern make a pattern for the left foot is necessary as the feet are slightly different from each other in sizeand structure. Label width (it is also called completeness) of the foot. To do this, find the widest part of the toe portion of the foot and indicate them by the letters C and D. you can Now circle the foot around the perimeter with a pencil, holding it vertically. Measure the distance between points A and b, then C and D. If one leg is greater than another, for you will be important the maximum length and fullness. Remember these numbers and find your size according to the standard table that you can find on the Internet or a Shoe store. Study the standards of different manufacturers of footwear. In the international metric system length of the foot is indicated in centimetres; between adjacent sizeAMI manufacturers leave in the interval of 0.5 cm For example, the insole length 22 cm corresponds to the size 34,5; length 22.5 cm - 35 size; 23cm - 36, etc. In Europe as a measure of length used stich equal to 2/3, see England and America sizes are measured in inches, and the intervals between them are made in 1/3 of an inch. View, if not specified on the package Shoe measure width. Most manufacturers produce shoes, shoes and boots in narrow, medium and wide fittings. However, these data are not always, more often - hard footwear (ski boots, and skates). From domestic producers, the indices of completeness are numbers from 1 to 12 mm; European – from 1 to 8; American and English, respectively, the letters from A to F. the Interval between sizeAMI width shoes is 4mm, in most other countries – 5 mm. When trying on shoes make sure that between the end of the longest toe and the toe there is a small space. To do this, stand straight and ask the seller to press hard on the nose. To find out whether tightly the Shoe hugs the instep, shrink boots – part of the top, covering the dorsum of the foot. Shoes should not press; but boots also do not need to diverge widely. Do not forget that natural materials eventually become comfortable. If you do not have at hand the table size, divide the maximum rate the length of your feet (for example, 26 cm) 2. Then add the result (13 cm) to the original number: 13+26=36 size of shoes, you should try on in the store. Baby yet to be born, as a caring grandmother already started knitting baby shoes and warm socks. Even the parents in the stores looking at the shelves with tiny booties and soft cozy pet boots. And then they face the problem of choosing the right size the first shoes of the baby. Modern ultrasound machines at the stage of pregnancy, suggest what height and weight will have your baby. 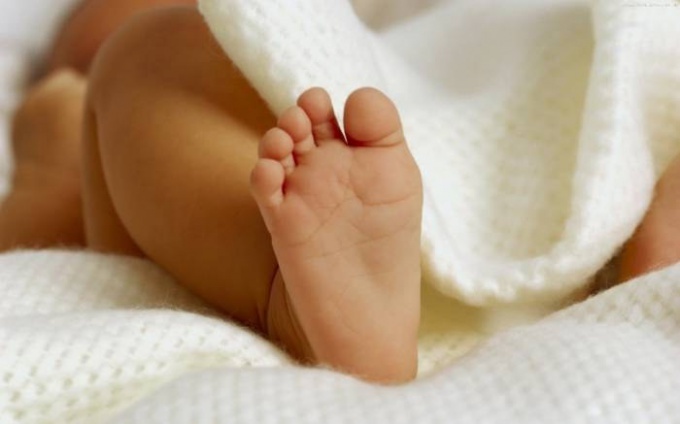 At successful coincidence of circumstances of late-term baby lying in the right position of the fetus, may allow to measure the foot and to determine the size of the foot. 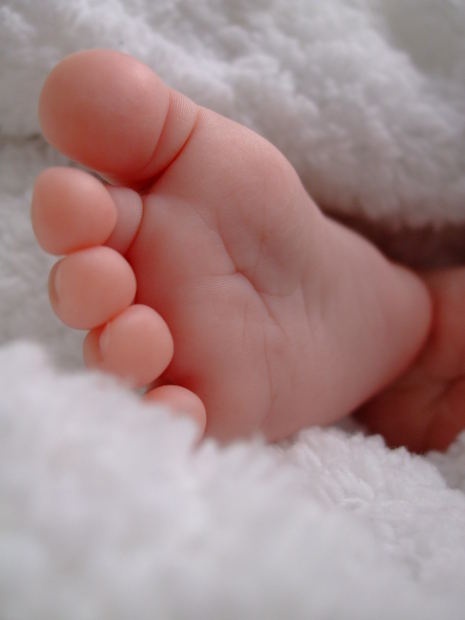 On average, the size of the foot of a newborn is 4 to 9 cm, but there are always exceptions. The first and most important shoes for a newborn, you should choose carefully, because the fragile musculoskeletal system during this period are highly vulnerable to any third-party influences. It is important to choose the shoes are not made only from natural materials corresponding to modern standards, but not to be mistaken with the size, because the baby needs to feel especially comfortable in his first pair of shoes. Otherwise, if the Shoe is too tight, the vagaries could not be avoided. And the health of the baby can cause irreparable harm. The size of the shoes should definitely match the foot size. One way to find out the size of the foot and the crumbs is to measure the foot length of the insole. Remember that attach to the leg itself should not boot, namely the insole, as the length of the sole and the insole length can simply not match. And newborns, and older children suitable option with the measurement of the foot using the circle an outline with a pencil on a piece of cardboard. Would be true if you tentatively put on your feet socks or tights, which are expected to dress baby. This will minimize the error with determination of the size and buying the wrong tight shoes, because the newborn will not be walking on his bare feet. This method is good because with the help of simple manipulations, you can quickly and correctly determine the size of the foot and to go to a Shoe shop without the little crumbs. Thus once again, not carrying the baby at the malls and not endangering his fragile health. While your child begin to walk alone, wise to choose shoes with soft soles in order not to overload small foot heavy shoes. Do not buy shoes with plenty enough clearance 0.5‒1.5 cm in order that the baby could freely move my fingers inside. The right orthopaedic Shoe has an anatomic footbed that follows the contours of the child's foot. This insole will contribute to the proper formation of the foot and will allow to avoid many troubles in the future such as flat feet. Among the variety of clasps, priority should be given in favor of Velcro. It is a reliable locking of the legs, not having pressure on the foot, even if the child has a high instep. Take care of the right Shoe corresponding to the foot size, and let the baby grow happy and healthy.